Whether you need to heat a single room or an entire home, Empire has Direct-Vent Furnaces to suit your needs. Specifically designed for areas where flues or chimneys are not available or cannot be used. Removable front panels for easy cleaning and servicing. Uses outside air to support combustion. Inside air is warmed as it recirculates around a sealed chamber. This warm air heats the room cleanly and efficiently. 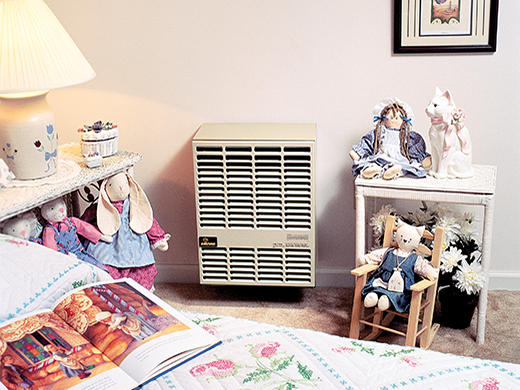 Clean and cost-efficient comfort make the DV210 and DV215 the perfect heaters to warm your smaller rooms. 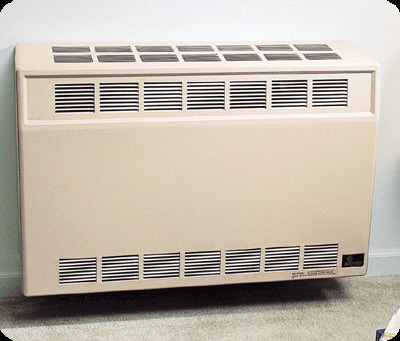 The slim, compact design allows the heater to tuck out of the way on an outside wall. Quiet burners, matchless piezo ignition, and all the safety features you expect from Empire Comfort Systems come standard. Heat larger areas with Empire’s DV25 and DV35 Direct-Vent wall furnaces. Delivers room-filling warmth; fits against an outside wall. A push of the button ignites the pilot with a matchless piezo system. Add an optional internal blower for even greater air circulation.